Doug Jones is a Professorial Fellow at the University of Melbourne and a visiting Professor at Queen Mary, University of London. He holds the degrees of Bachelor of Laws, Bachelor of Arts, and Master of Laws from the University of Queensland. He is admitted to practice in all States and Territories of Australia and New Zealand. Doug is an international arbitrator based in London, Toronto and Sydney. He is a Fellow, Chartered Arbitrator, and Past President of the Chartered Institute of Arbitrators (London) (2011). A past Member of the LCIA Court, Past President of the Australian Centre for International Commercial Arbitration, a Foundation Fellow and A grade arbitrator of The Institute of Arbitrators & Mediators Australia, , Fellow of the Arbitrators and Mediators Institute of New Zealand, elected Council Member of International Federation of Commercial Arbitration Institutions (IFCAI), an Honorary Fellow of both the American College of Construction Lawyers and the Canadian College of Construction Lawyers, a member of the Society of Construction Arbitrators (London), Australian Government nominee on the ICSID Panel of Arbitrators and a panel member of a number of International institutional arbitral panels, and President Region 3 of the Dispute Resolution Board Foundation He is Co-Editor in Chief of the International Construction Law Review. 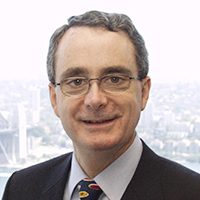 In June 2012 in the Queen's Birthday Honours List, Doug was made an Officer of the Order of Australia, for distinguished service to the law as a leader in the areas of arbitration and alternative dispute resolution, to policy reform, and to national and international professional organisations, having in January 1999 being made a Member of the Order of Australia in recognition of his services to construction law and dispute resolution.